Dan Houser, the 39-year-old chief writer of Rockstar Games and a co-founder of the studio that's delivered the Grand Theft Auto series, admitted to some screen-looking in an interview this weekend with The New York Times: "Anyone who makes 3D games who says they've not borrowed something from Mario or Zelda is lying," he said. 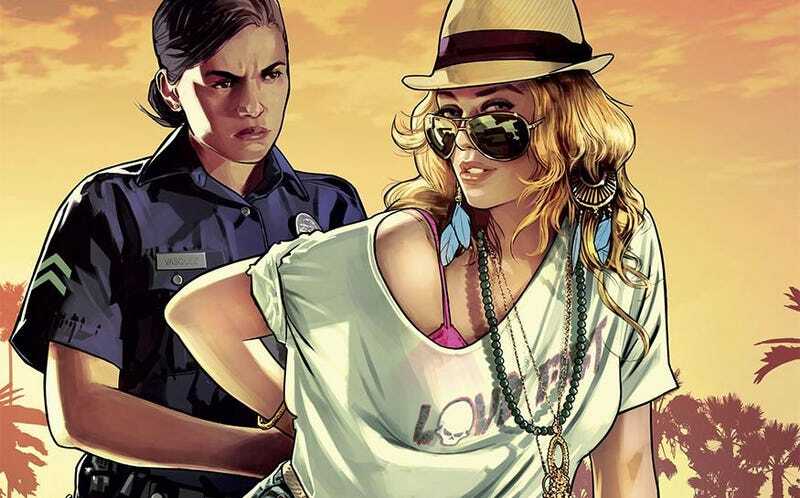 But, Houser added, "in that regard we've certainly been more sinned against than sinning," probably referencing the slew of open-world crime-spree imitators Grand Theft Auto has spawned or at least inspired over the past decade, from Driver 3 to Saint's Row or True Crime. "I suppose what we've borrowed from cinema is cinematography," Houser told the Times' Chris Suellentrop. "We haven't borrowed a lot structurally. We've borrowed from TV structurally, we've borrowed from long-form novels structurally. Even a short game like Max Payne is 10, 12 hours long. It's several action movies back to back, in terms of how the story works." Houser and Rockstar are approaching the release of Grand Theft Auto V sometime in the next six months, and just announced that release last week, which maybe explains their willingness to do a Q&A with the Times right now. The old mainstream media controversies, particularly "Hot Coffee" and the series' treatment of women (specifically GTA's notorious prostitute NPCs) are revisited. But Houser is also asked how his British perspective informs the writing of a game that walks the line of celebrating and satirizing American excesses. "Is it fair to say that your games are satires of American culture?" asks Suellentrop. "I think it's fair to say that they are set in a world that is a satire of American media culture," replies Houser.